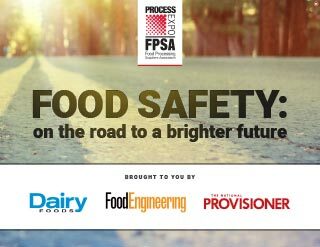 The content in this special publication brings together experts in food safety to highlight some of the concepts and strategies propelling innovation in the food-safety arena today. The U.S. food industry has come a long way over the last century-plus in creating what many have called the safest food supply in the world. However, as technology has improved, it has turned a sharper focus on issues that may have gone unnoticed in the past, with penalties becoming more impactful. As consumers and legislators clamor to know more about food, processors need to remember that there’s always something to learn; always a potential better way to do things; and always a consumer to feed — and protect. Given the significant changes happening on a global level, there’s never been a more interesting time to be in the food industry than today, whether you’re a manufacturer, service provider or consumer of food. Universal Pasteurization and Cold Storage — the largest HPP outsourcing service provider — accepts and embraces the leadership responsibility to serve the food and beverage industries with the benefits of high pressure processing (HPP) during these changing times. 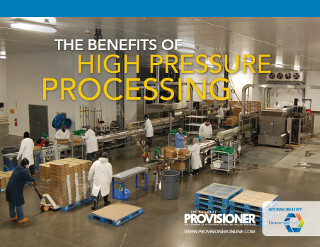 The topics discussed in this eBook include how pressure is propelling the cleaner-label food movement, growing enthusiasm for high pressure processing, and how HPP helped Chairmans Foods grow sales.